Delicious any way you eat them (on toast, as a dip, in brownies, we could go on…) avocados manage to combine being ludicrously tasty and pretty good for you, too. However, trying to eat one before it’s ripe and ready can be a very disappointing culinary experience. Eating this so called alligator pear can be a tricky business. 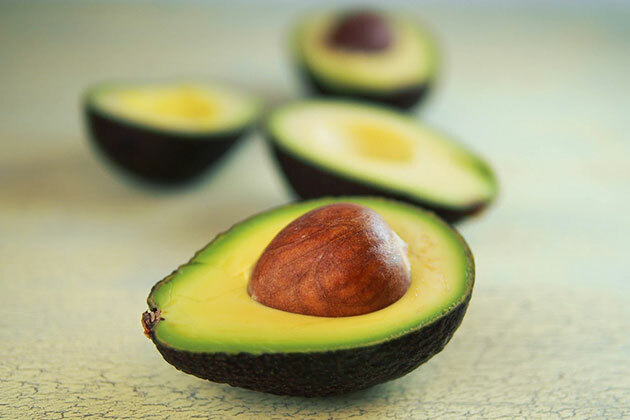 Plus, ready to eat avocados can be pretty expensive, where as ripe at home varieties are much better value for money. Luckily, there are two secret ways to ripen avocados, fast! Wrap your avocado entirely in tin foil and place it on a baking tray. Pop into the oven at 100°C and bake for ten minutes. Check to see if the avocado is soft. If it’s still hard, pop it back in and check again in ten minutes. When it’s soft remove it from the oven and put it in the fridge until it cools. Then enjoy! Apparently when an avocado is baked it’s surrounded in ethylene gas which it naturally uses to ripen so by baking it in foil you speed up the process! Hurrah! All you need are two simple ingredients an— apple and a brown paper bag. Simply put the apple and the avocado in the bag together and seal it off as best you can and leave overnight. By morning, your avocado should be ripe and ready to eat. The same process can be used for ripening tomatoes, but by placing them in a bag with bananas. For a lunch that will satisfy your hunger cravings, look no further than this chicken piri piri wrap. For an extra saucy taste, throw in some tomato chutney, wrap up and enjoy! 1. Combine the avocado, cherry tomatoes, watercress and coriander together, into a salad. Set aside until needed. 2. Coat the chicken in the piri-piri sauce, and evenly thread the chicken onto each skewer. Heat the olive oil in a large griddle pan and cook the skewers for a few minutes on each side until chargrilled and cooked-through well. 3. Serve the Mission Deli Wraps open with the chicken placed alongside the salad, with tomato chutney and lime wedges, ready for individuals to make their own wraps on their plates.